Operation Understanding students with Hank Thomas , center left, and William Harbour, center right, two of the original Freedom Riders, in Atlanta. 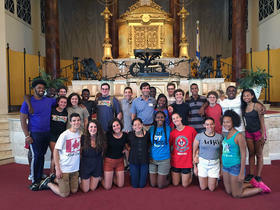 Operation Understanding D.C. is a program that teaches Jewish and African-American students in the Washington, D.C. area about discrimination. 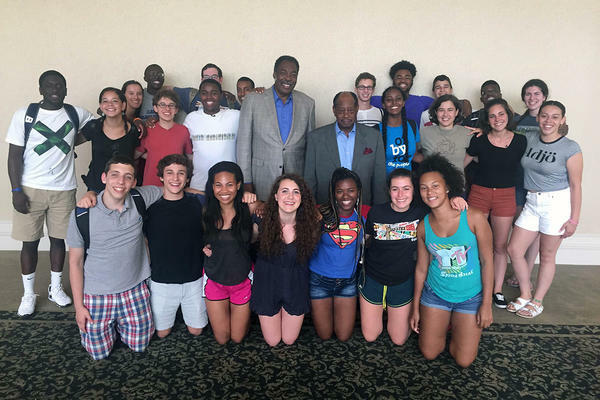 This summer, the students has been on a civil rights tour of the South. They’ve been in Atlanta this week, and program director Avi Edelman and students Melat Mesfin and Yonatan Greenberg discussed their trip with “A Closer Look” hosts Rose Scott and Denis O’Hayer.